I need help with backing up my data on Partition C:/ on Drive0, 2TB SSHD by Seagate. When i try copying the entire drive, it crashes at 98% or 86%, usually over the 80's mark. I tried Linux, and when it reaches a sector it can't read, it gets stuck and it unmounts. I know there are a few issues on a few sectors, and when it reaches them, it will try reading it over and over again. 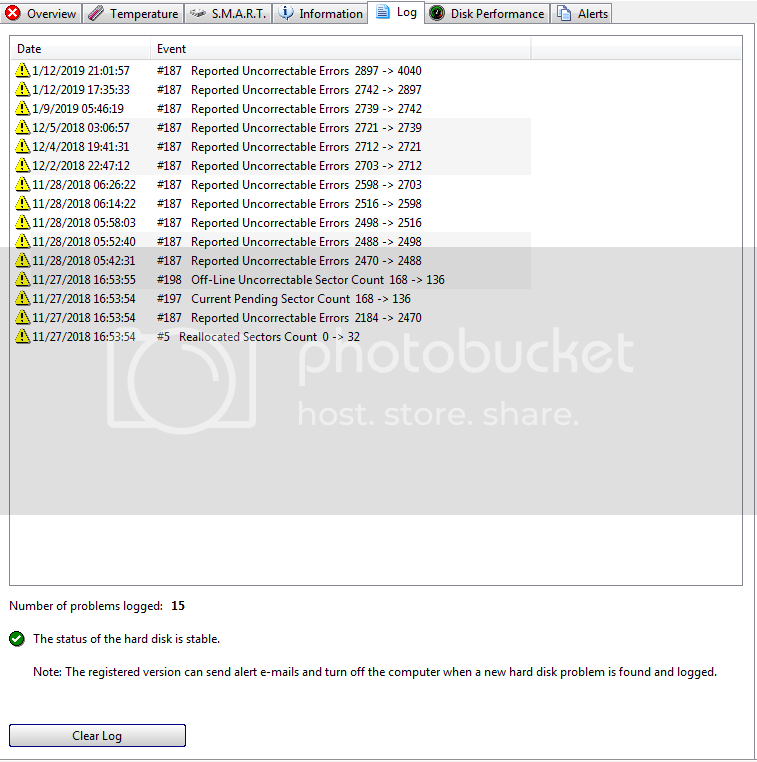 What tool can i use, (bootable) to copy and skip bad sectors? I already have a backup drive, almost all data backed up, all i need is my main boot partition C:/ to get backed up. Please, some guidance will be appreciated! You can try AOMEI Partition Assistant Pro v8.0, or Acronis True Image 2019. You may also contact Seagate support here is need be. You can see if CHKDSK will locate bad sectors. You'll need to run CHKDSK /R instead of the normal CHKDSK /F. You may be told it can't be run now and needs to be run after reboot. Type Y then enter. Try using FreeFileSync and select the folders to sync. It may crash also. However, the next run will only list the remaining files not yet synced. Then you can try to work around the bad files. Copying the remainder manually in small groups. Be sure to maintain the folder structure in manual copying. That way you can have FreeFileSync compare the folders again to see what is remaining. Don't try to sync the whole drive. Just sync user folders. Most of Appdata can be skipped. At least if you know what programs store important appdata in that folder. Just note some system files won't sync. This is normal and they are not necessary. Do not use the include option. It will skip everything not included. Use Mirror rather than sync. You want the backup drive on the right for this option. Changes to the backup drive will disappear if they do not match the original drive. So greater care is needed for any manual copies to be exact. Select ignore errors in the option. This way you don't have to nurse it during a sync. Instead of manually copying after you hit the failure point. If you disable ignore. You may find the bad files and just add them to the exclusion that way. Personally I prefer to get the files off a dodgy drive. Rather than waste time trying to repair it. At least get everything off you can first. Before attempting a fix. That way you reduce the risks of a more catastrophic loss before device failure. First do what velocityg4 saidwith the chkdsk /r. It will have to reboot to do the job. unstoppable copier might be a good program as well as it can skip files that are corrupted. Just make sure you set it in the settings tab at the top. using most cloning programs like velocityg4 said, will fail to clone or backup if there is a bad sector or too many reallocated sectors. Also download and install Crystal Disk Info and run it. if it says Caution or Red copy and past the stats of that drive and post back here. One program that I use for cloning drives with bad sectors is R-Studio. it is the only software that i know that can do it. I have the Technician license at work so we shelled out big bucks for that (almost a grand) but the Pro edition is only 50 bucks. Only thing is this kind of cloning you need to do a byte for byte style cloning so you have to have a drive the same size or bigger, then you can use any other software to clone it to another working drive once it is on a good drive. Once everything is off, use something like BootNnuke to wipe the drive a few times. That can sometimes get the drive in working order. I wouldn't use it as a OS drive and would make sure if you do reuse it to have a backup. Let's recap what I tried first, as my post was not complete, and I posted from work. I want to keep this windows installation as I've optimised it a lot, and it runs without it being re-installed since 2014 (used a disk image when my other drive was failing, and it worked wonders). What I managed to try was AOMEI and it crashes, even the bootable AOMEI software for disk imaging at 99% or 98%. 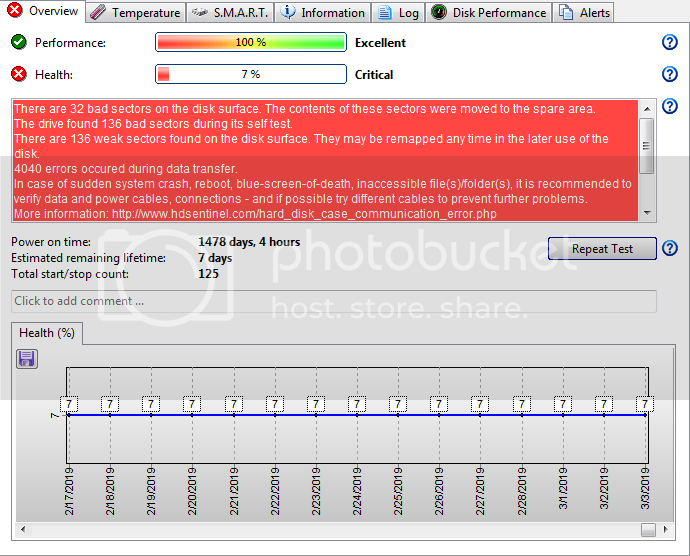 Tried checkdisk and it shows clean (wonder why as Hard Disk Sentinel shows 7% health for over 3 months) pictures attached. I will try your sugestions and come back with you when I have time to test. I do have an SSD for the OS, but I must first copy the data to the SSD. Oh yea you need special software to clone that. ANY bad sectors or a lot of reallocated will cause almost any off the shelf cloning software to crash. You need to find a software that can clone and skip bad sectors. Like i said R-Studio is the one I use. 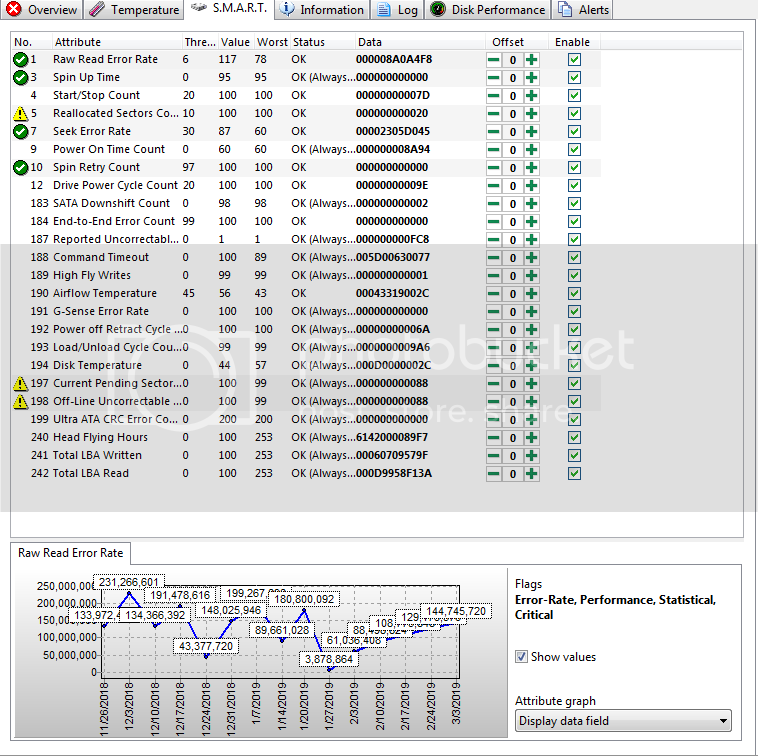 Ddrescue and HDDSuperClone understand how to skip bad sectors. Both maintain a log, so you can continue after an interruption. HDDSuperClone has the added advantage that it attempts to skip over a bad head. I would avoid thrashing your drive with tools that keep banging away at bad sectors. The drive itself is 2tb. i want to copy all the data off C:/ to the ssd. A lot of people don't understand what the Windows chkdsk utility does. It is not good at scanning for physical drive issues, from the WiKi for it: " It verifies the file system integrity of a volume and fixes logical file system errors. " So it makes sure the file system is OK, but it does not actually scan for disk issues, just for symptoms of disk issues. It is not a tool you use to scan a disk for errors really, at least not anything that a computer tech would use. I already know that there are errors, all that I want to do is to backup my partition.